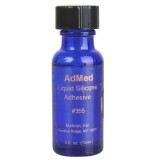 6ml of Pros-Aide Cosmetic Adhesive in easy to use applicator Bottle. 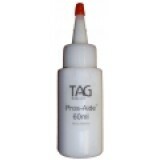 Pros-Aide is the profes..
10ml of Pros-Aide Cosmetic Adhesive in easy to use applicator Bottle. Pros-Aide is the profe..
60 ml of Pros-Aide Cosmetic Adhesive in easy to use applicator Bottle. Pros-Aide is the prof.. 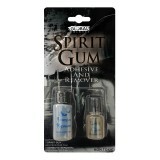 Spirit Gum is an amber coloured, alcohol/resin liquid adhesive solution. 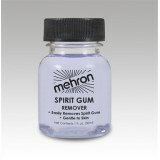 Application: Use to..
Mehron has formulated this Spirit Gum Remover to be gentler on your skin than other gum remov..
New to the Global Colours Range is the Spirit Gum & Remover Kit. 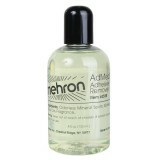 Spirit Gum is an amber colou..
Mehron has improved the formula for AdMed Liquid Adhesive clear, synthetic adhesive that stands u..
AdMed Adhesive Remover was developed by Mehron to easily remove cosmetic glue after a performance..